Strips are 3/16" x 10" long. These are also included in the Christmas Nostalgia Kit; see all the other kit components available to buy separately. 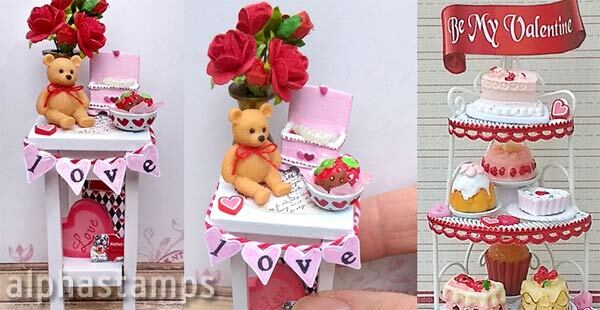 Design Team Member Shannon Cooper made 2 Miniature Valentine's Displays (see the wide photo below). More info in the blog and/or see the supply list.